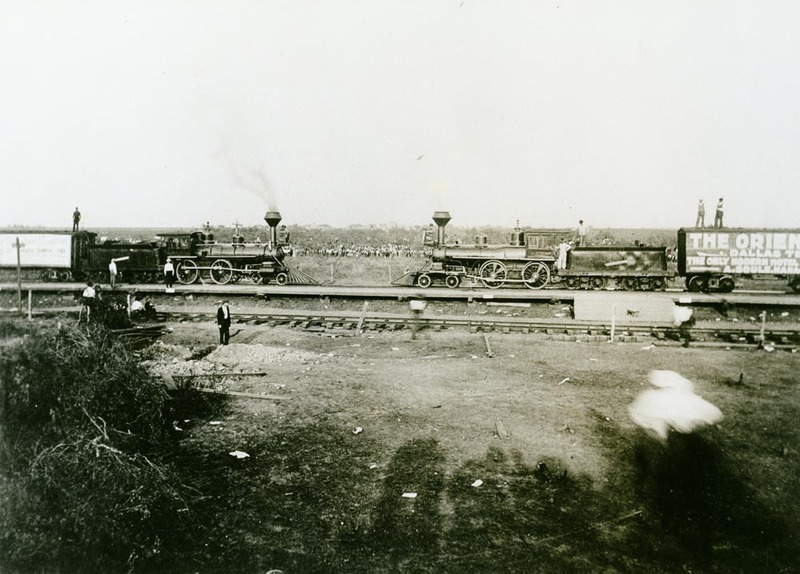 One of the most infamous publicity stunts of all time, "The Crash at Crush," took place about 3 miles south of West, Texas, featuring two locomotives of the Missouri-Kansas-Texas Railroad Company (known as M-K-T or "Katy") intentionally set on a head-on collision course on Sept. 15, 1896. Advertised for months in advance, the event drew more than 40,000 spectators to a natural amphitheater formed in a shallow valley with hills rising on three sides. Katy Passenger Agent William George Crush, for whom the event's site was named, had proposed the spectacle as a way to sell $2 per round-trip ticket from anywhere in the state. A special four-mile track was laid for the collision run, and telegraph offices erected and water wells drilled. Workmen also constructed a grandstand for officials, speakers' stands, a platform for reporters and a bandstand. An eatery was set up in a tent borrowed from Ringling Brothers circus. A carnival midway sprang up, with medicine shows, game booths and cigar stands to entertain the spectators as they waited for the main event. Some 300 special policemen were brought in to keep order. Almost all train wreck fans were put on a hill at least 200 yards away for what the Dallas Morning News termed "a perfect view of the destruction." Only journalists were allowed to be within 100 yards of the track, for their own safety. The two engines, one green and one red and each pulling six cars covered with "gaudy advertising", slowly met at the point of collision to be photographed. Then the trains backed slowly up the low hills to their starting points. As they started their run, the two train crews abandoned their posts and jumped from the train. 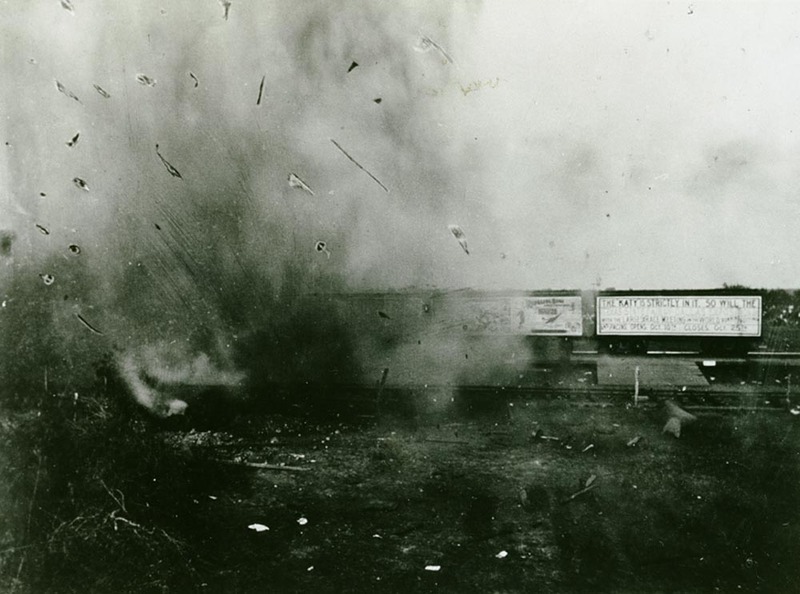 At impact, estimated to be at 50 miles per hour for each engine, the smashing of metal and splintering of timber filled the air. But just as the dust from the smoking heap started to settle, both boilers exploded simultaneously and the air was filled with flying metal missiles "varying in size from a postage stamp to half of a driving wheel," the News reported the next day. Two people died and at least six other people were seriously injured by flying debris, including a Waco photojournalist, Jarvis Deane, who lost an eye. 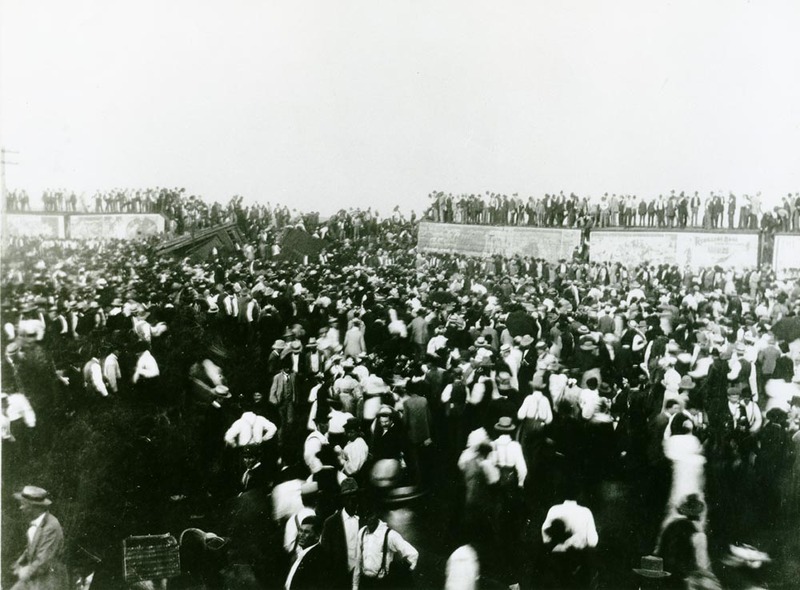 While the railway moved in quickly to remove the larger wreckage, souvenir hunters swarmed over the site, carrying off most of the remains despite burning their hands on the shrapnel. The Katy settled all claims with cash and life-time passes. Impresario Crush, a disciple of P.T. Barnum, was "fired" the evening of the crash, but rehired the following day. Rumor even had it he got a bonus for all the attention he brought the railroad, which curiously saw a surge in business afterwards. He worked for the company for 57 years until his retirement. 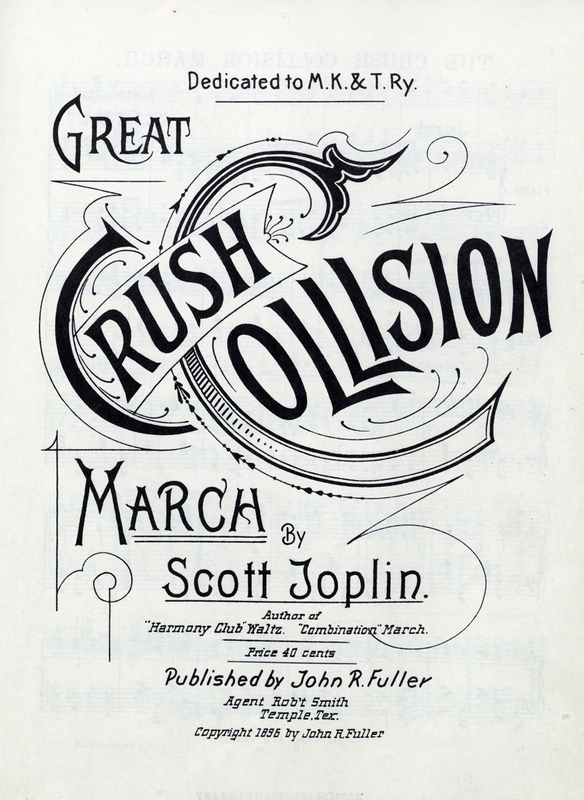 The combustion, carnage and carnival atmosphere of the proceedings were immortalized by ragtime composer and Texas native Scott Joplin, in his "Great Crush Collision" march. 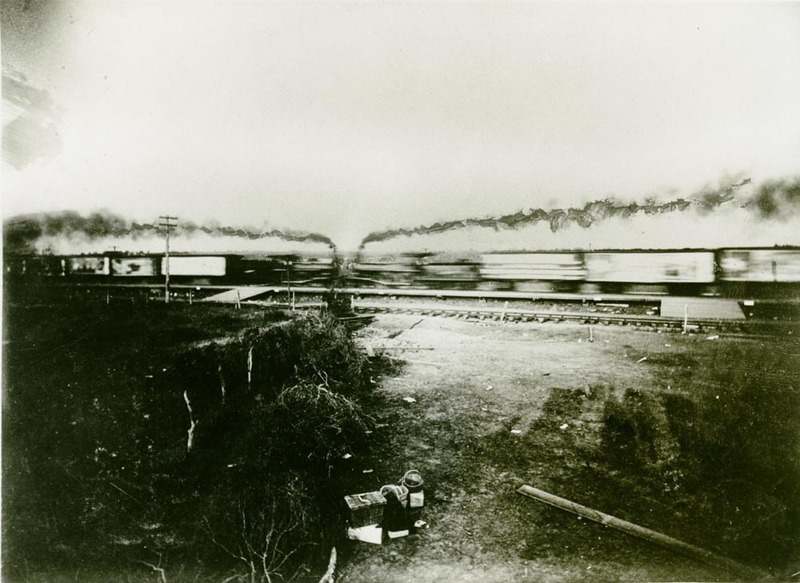 Despite the catastrophe of "The Crash at Crush," the Katy Railroad Company prospered into the first half of the 20th century. Staged locomotive collisions also became an element of mass public amusement on into the twentieth century. 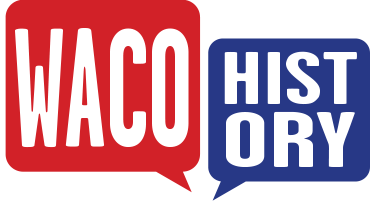 Terri Jo Ryan, “Crash at Crush,” Waco History, accessed April 19, 2019, https://wacohistory.org/items/show/70. A version of this article originally appeared in the Waco Tribune-Herald column “Brazos Past.”Terri Jo Ryan, "'Crash at Crush' a Calamity Beyond Hypester's Dreams," Waco Tribune-Herald, September 15, 2006.